It's almost time! 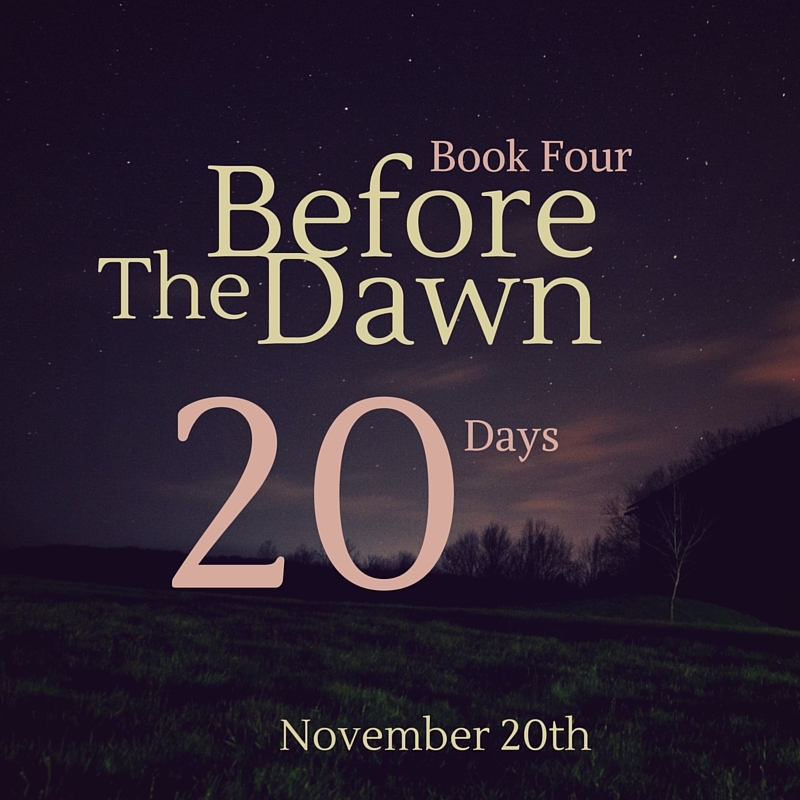 Only 20 more days until Before The Dawn, book four in The Ending Series, is released and we're getting VERY excited! We can't wait to share Dani and Zoe's final adventures with you. Leading up to the release, Team Lindsey will be posting tons of goodies and shooting out a few newsletters with sneak previews, including excerpts, deleted scenes, Q&As, and so much more! Please shoot us an email or leave a comment with a question you want us to answer, and I promise we will! How hard was it to stop with this book? Or are you ready to move on? LP: It's difficult to close this chapter of The Ending Series--the lives of our beloved characters and such an intricately created world that we've come to love (especially one that has endless possibilities). But, I think it's time to bring this chapter of their lives to a close, and I hope our readers will be happy with what we did in this final installment. LF: For me, it was hard in some ways, but it also felt right. We've put Dani and Zoe and the other characters in these books through so much pain and struggle, and we thought they deserved a resolution--an ending, so to speak. I feel like we've given them that, and it's a good feeling. I think that what made ending Dani and Zoe's stories with Before The Dawn less difficult was knowing that the world would be open for possible stories in the future. Like LP said, it's difficult to close this chapter, but we've left the world open to the possibility of many more, new chapters.